Almost every time we fly over Breton Sound, we find new leaks that no one knows about. 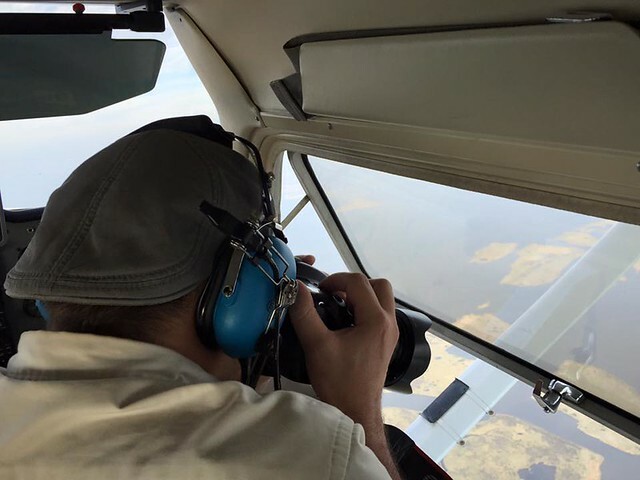 Last year, we flew over Cox Bay en route to Mardi Gras Pass, and saw the telling rainbow sheen flowing from a typical rusted, unprotected facility and into the marshes on both sides of the canal. It was large enough that Jon and Adam from the Suffers were even able to snap pics with their phones--but no one was hired on site to tell the company that their money maker had become a liability for our coast. When we spot a rainbow sheen on the water, whether from a facility like this one, BOPCO, or from mysterious bubbles that usually indicate a ruptured gas pipeline, we have to search government databases to find an "RP," or Responsible Party, before we call the Coast Guard National Response Center. 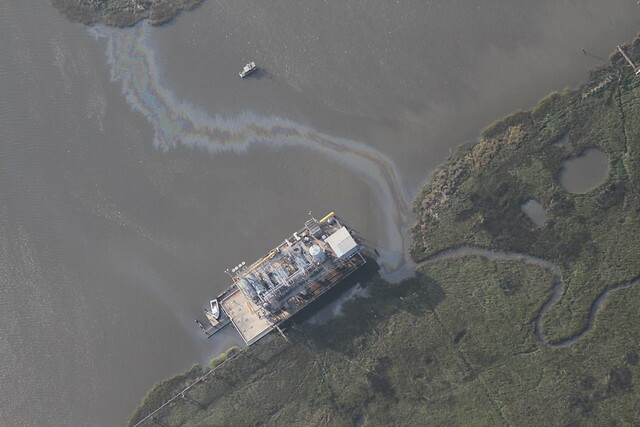 Confirming that the facility was BOPCO's helped the Coast Guard and Louisiana DEQ to act much more quickly than if we had left it up to an investigator to determine whose oil was sliming our marshes. Although we're unsure what fines BOPCO had to pay, we know we created some jobs. We got a response from the Coast Guard, thanking us for our keen eyes. When we flew over the second time, the leak had been stopped and the marshes had been surrounded with boom. There were a bunch of boats and several guys taking a well-earned lunch break as they maintained the facility, keeping the oil where it should be. We saw what we think are survey markers in the marshes across from the canal to measure how the land is responding to the gallons of petroleum spilled into our waters. 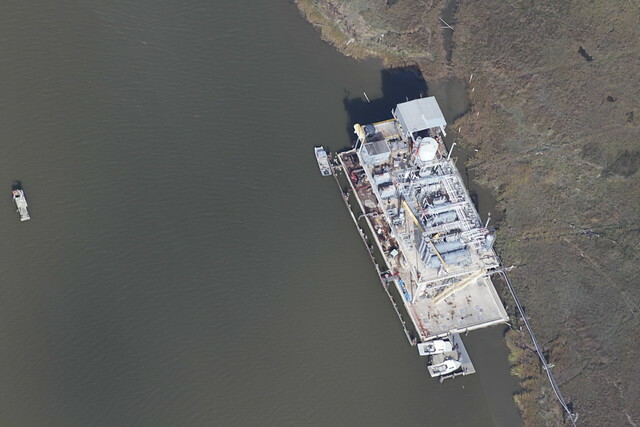 The Louisiana Oil Spill Coordinator's office may be able to recover NRDA fines from the company should these marshes slough away over the next couple of years. 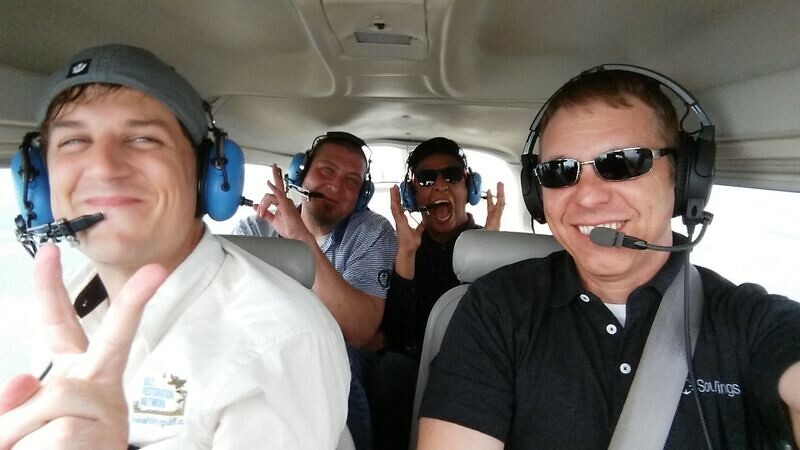 Whatever happens, GRN will be watching with the help of Southwings pilots, the support of Gulf Coast artists like The Suffers, and members like you.